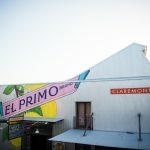 Claremont is no sleepy college town. Looking for fun after the sun goes down? Claremont’s growing list of nightspots range from quiet wine bars and outdoor lounges accented by designer fire pits and whispering sycamores, to true college hangouts with top-notch bands, stunning live entertainment courtesy of the famous Candlelight Pavilion dinner theater, a jazz-fondue club, a Las Vegas-styled piano bar, a comedy club, live music and performances at many restaurants, and an assortment of sports bars. Want a quiet time with friends or loved ones? Try the outdoor patio of the Lounge and Bar at Hotel Casa 425, where starry nights peek through the trees and are warmed by “crystal” fire pits, or enjoy the comfy sofas at the Packing House Wines. Can’t choose between a roaming magician or acoustic guitar for your background ambiance? Both occur with frequency at Espiau’s. Want to kick it up a notch? Laugh out loud to nationally known comics at Flappers Comedy Club. 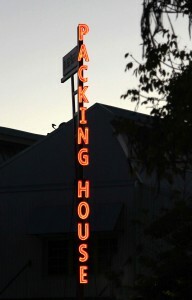 Or enjoy local and regional bands of all genres performing nightly at The Press Restaurant in the Village. Or make it a Hollywood night at the Claremont Laemmle 5, which screens both popular and arthouse films. 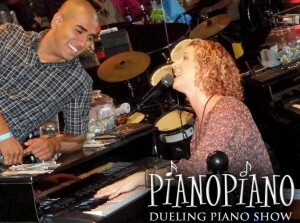 What you may not know about Claremont Nightlife: many of the entertainers at the PianoPiano dueling piano lounge bar, next to the DoubleTree by Hilton Hotel Claremont, are also regulars at famous piano bars in Las Vegas. Come experience a world-class show right in your own backyard. And don’t forget to bring your loudest singing voice!